Laura Smith encloses an Easter gift to be used as Miss Berry thinks best. 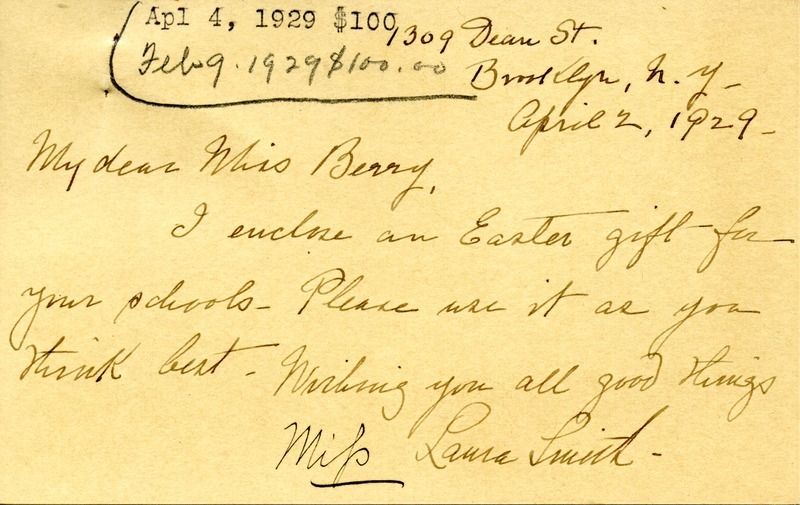 Laura Smith, “Letter to Martha Berry from Laura Smith.” Martha Berry Digital Archive. Eds. Schlitz, Stephanie A., Chelsea Risley, et al. Mount Berry: Berry College, 2013. accessed April 26, 2019, https://mbda.berry.edu/items/show/11030.